The key was not hard to find. Hidden under a flat stone, he kneeled down to pick it up and unlocked the gate. In front of us, a large plot of land covered with grass, surrounded by a few gray, tall apartment buildings. The parcel looked abandoned with 30 or so tombstones irregularly dispersed. We entered the graveyard together and I noticed two types of tombs. The first ones were made of stone. Older, they were also harder to spot, half-buried under the earth and spread out sporadically without any apparent logic. No dates and no decorations on them, and in a poor state of preservation. Only the names of the deceased engraved on top barely discernible. Unlike the first type, the other tombs were brand new, made from cement, rectangular in shape, and regularly laid down in three or four straight lines. In their center, an empty square large enough for a small tree. The names of the deceased on these tombs were clearly legible. I stopped in front of one and I began talking to the cemetery’s bekçi who had opened the gate. 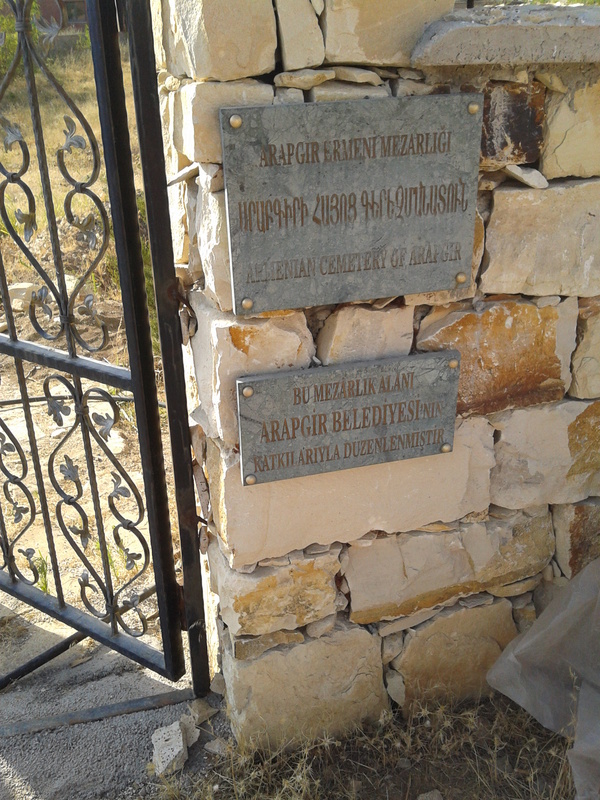 The municipality of Arapgir had appointed him and his brother custodian of the town’s Armenian cemetery a few years ago. Why them? In their late 40s now, they were the last two Armenians of this Eastern Turkish city. Everyone also knew that they probably could not do much else. Their parents had not been rich enough to give them an education and they never had the chance to leave the city and find a vocation elsewhere. Arapgir is a small town of less than 20,000 today in the Malatya Province of Eastern Turkey. Founded in the 11th century by an Armenian king, the city has over the centuries been under the control of the Byzantine, Seljuk, and Ottoman Empires. In the 19th century, Arapgir became a busy trading and industrial center. Wholesale goods such as soap, olive oil, iron, and glass transited through Arapgir from Antep, Aleppo, or Beirut to Europe, while cloth and other products from France and England made their way to the Middle East. The city also expanded, as early as the 1830s, thanks to its textile industry (up to 1000 looms weaving cotton goods from British yarns at the time). With a new city emerging near the old town, Arapgir eventually became larger than Harput, the capital of the vilayet, and remained an important business center until the 20th century. Arapgir possessed a thriving Armenian community in the 19th century, which after 1915 diminished from the many thousands to the few hundreds. A rare case in Eastern Anatolia, however, the Armenians did not entirely disappear from the town. In the 1950s though, these last families, one after another, slowly migrated to Istanbul in search of better economic opportunities. 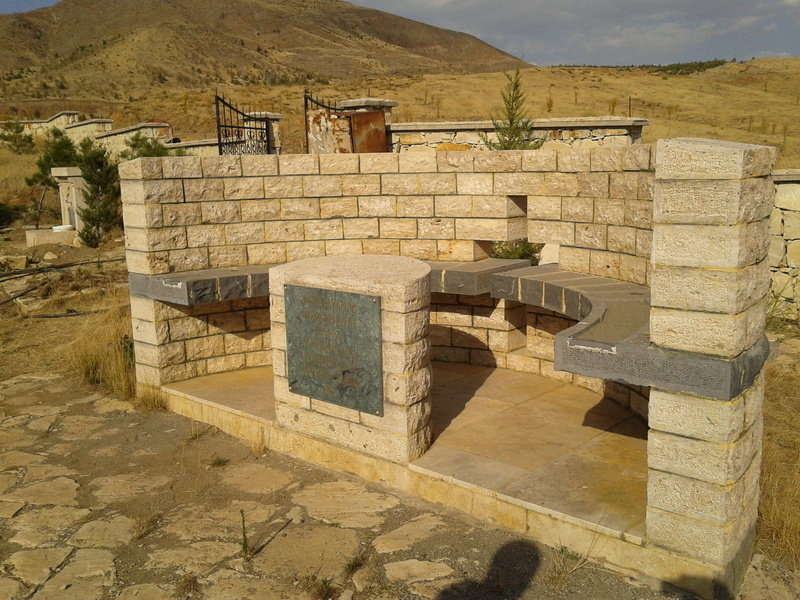 Today, the only Armenians left in the city are the two brothers keeping the cemetery clean while locating its old tombs abandoned by the emigrant families. After finding, washing, and identifying one, the municipality contacts the children and grandchildren of the deceased (now living for the most part in Istanbul) in order to “restore” it, that is build a new one in concrete with a tree in the middle. Thus far, approximately 30 “restorations” have been completed. These are sometimes commemorated by a priest in a solemn ceremony and attended by the family of the deceased returning “home” for a few days. In the Old Town of Arapgir, many of the houses have turned into piles of stones slowly rolling down to the river. Some orchards and gardens remain but the city has been almost entirely abandoned. 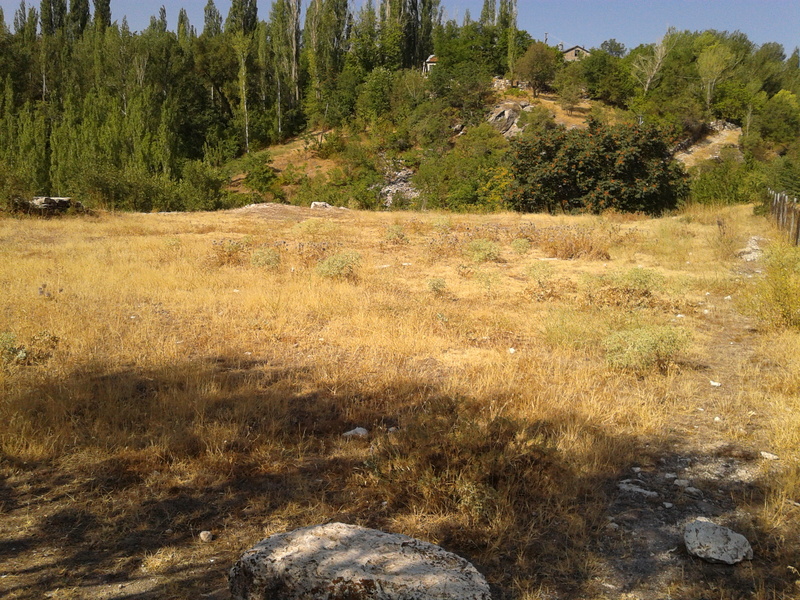 Through these ruins dispersed in the dense forest, a road has been cleared by the municipality connecting different points of historical interests. 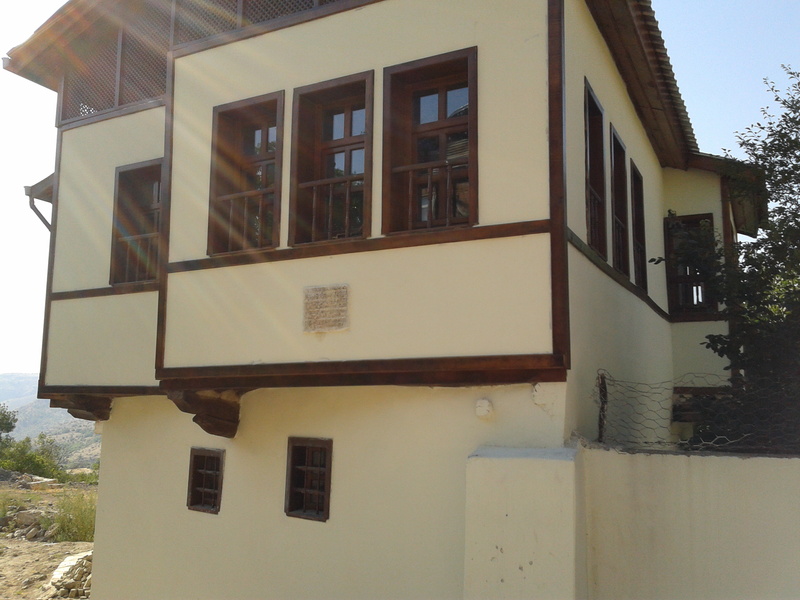 Visitors can walk, for instance, from the restored 19th century Arapgir Customs Director Osman Pasha Mosque, built not long before the town moved to its present site further south, to the much older Eyüp Mescidi Kütüphane or to the large, yet to be renovated, Ulu Camii, a 14th century edifice that was once the town’s center of life. Finally, overlooking these buildings and a series of stone bridges is Arapgir’s ruined citadel sitting atop a cliff. In contrast to this Old Town, new Arapgir seems more “lively” with its cheaper beton apartment buildings mushrooming over numerous older, wooden, three-storied homes. At its economic height in the 19th century, families accumulating wealth constructed their large mansions away from the older city. Still standing, many of these have nonetheless been abandoned today. With the expertise of ÇEKÜL, a Turkish N.G.O. specializing in cultural heritage management, some are slowly being transformed into restaurants, hotels, museums, or wedding salons by the municipality. Elsewhere, the Aydınlar family, who left Arapgir decades ago to establish the Acıbadem hospitals in Istanbul, has refurbished a mosque near their family house. Of course, the contrast is striking between the municipality’s ambitious restoration projects and its semi-abandoned Armenian cemetery. The intention underlying them is similar however and Arapgir certainly has the archaeological potential to attract tourism money… Near the entrance of the cemetery, I noticed a semi-circular structure with a large Armenian inscription. I learned that this was an altar used during the “restoration” ceremonies. 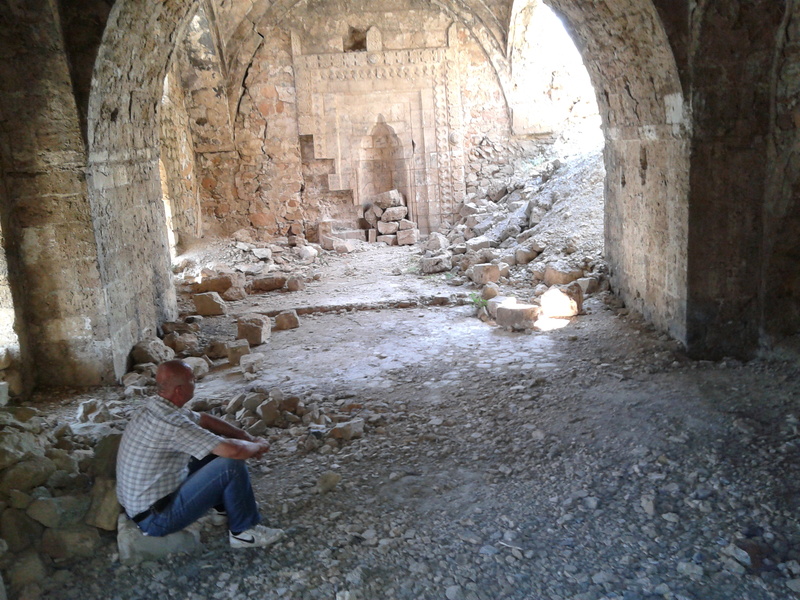 Moreover, priests accompanying groups of Armenian tourists visiting Eastern Anatolia from Europe or North America, that stop in Arapgir on their way to Ani or Lake Van, also use the altar for communal prayers. These large groups of visitors, some of whose grandparents or great-grandparents were Arapgirli, remain an anomaly however. In spite of recent efforts by the municipality to revive the cultural heritage of the town, there is no mass tourism yet. Only the old Arapgirli sometimes return for a visit to their city. 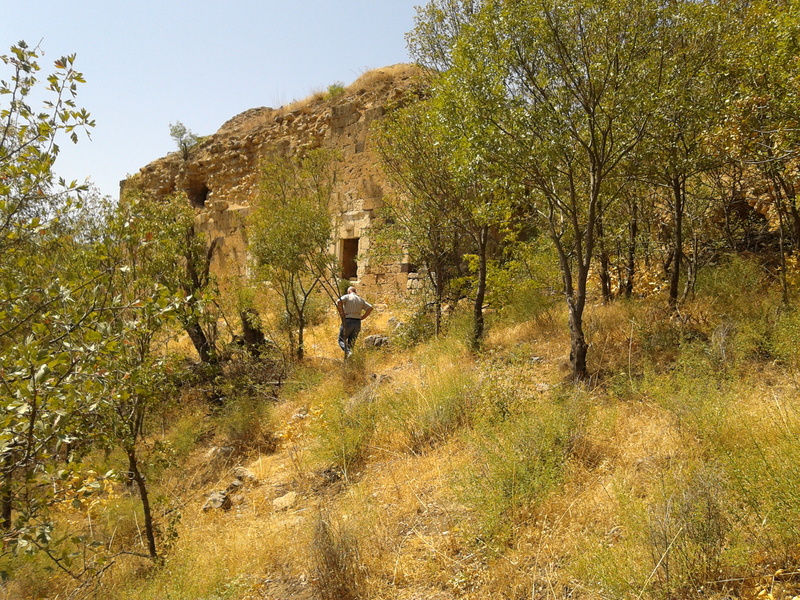 In the end, what is left of Arapgir’s rich Armenian heritage is just a few traces. A few barely visible stones demarcating the borders of a once monumental cathedral. Some wooden mansions, homes of Armenian families, turned into hotels and restaurants. A cemetery and two aging brothers looking after it. In other words, just a few traces but a burden nonetheless for the Arapgir’s AKP municipality. And, how do the current mayor and colleagues deal with this diminishing, yet somewhat cumbersome, Armenian heritage? On the one hand, the city does not entirely deny this past and completely hide it. On the other hand, of course, it is not restoring it to its previous glory. While preserving its historic monuments in an effort to attract tourism, the municipality does not necessarily emphasize the role of Armenians in Arapgir’s former splendor. In the end, as these traces of Armenian past slowly dwindle away, this city in Eastern Turkey does not seem sure what to do. 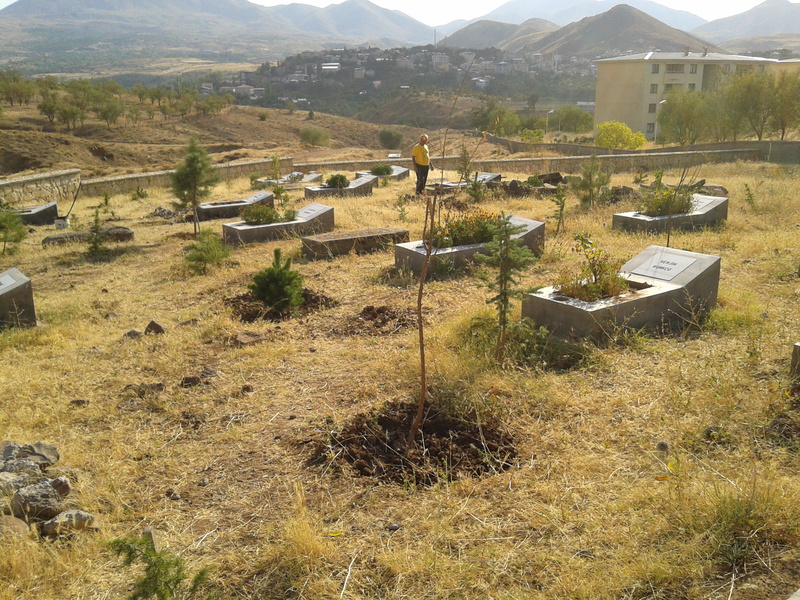 It would not be right if nothing was done of course… and by “restoring” the Armenian cemetery, it is doing something. At the same time, it seems that it would also be too awkward, given the current political situation, if too much was done and if the city’s strong Armenian identity was being displayed too boldly. Posted in Armenian Studies, Cultural Heritage, Ethnography, History, Memory Studies, Restoration, Tourism, TurkeyTagged TurkeyBookmark the permalink.